The largest ever gathering of P&O cruise ships will happen in Southampton on 3rd July. Seven ships and 15,000 passengers will gather in the port and it will be quite a sight. 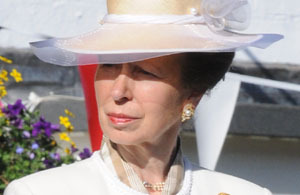 Her Royal Highness, the Princess Royal will be in attendance to see this historic occasion. “The Grand Event” is part of a year of celebrations marking the 175th anniversary of the Peninsular Steam Navigation Company being awarded the lucrative Admiralty contract to carry mail to the Iberian Peninsula and beyond. The ships will then depart in procession with a spectacular send off. A champagne deck party, flutterfetti, marching bands and a display by the famous Red Arrows aerobatic team will see them on their way. Once in the open water, the ships will meet again, saluting one another before they sail onwards to their various destinations. The Red arrows are due to fly at around 19.20pm, weather permitting.